A Lite Too Bright by Samuel Miller follows the tale of a teenage boy and his harrowing quest for answers. Arthur Louis Pullman the third is related to the great Arthur Louis Pullman, the author. Suffering from Alzheimer’s, Arthur Louis Pullman Sr.’s mysterious disappearance and death five years ago has haunted the Pullman family and the country. Considered to be one of the country’s greatest literary geniuses, A World Away by Arthur Louis Pullman is considered a one-hit wonder read by school children and revolutionaries. The story starts with little background knowledge to our main character – Arthur. We are given insight to a troubling past. However, Arthur stumbles upon one of his grandfather’s books in which he finds what he believes to be a clue. Feeling as though he has nothing left to lose, Arthur begins on a journey to find out more about this clue, his grandfather’s mysterious past and illness, why his grandfather only wrote one novel, and the last week of his grandfather’s life. Taking his grandfather’s favorite train – the Zephyr – Arthur leaves his family and follows the clues that he believes his grandfather has left for him alone. Along the way, he meets new people, learns who and how to trust, he learns to let go of the past, and he learns about his grandfather and his family’s complex history. In just 465 pages, we learn and grow with Arthur as he journeys for answers. “A Lite Too Bright” does an excellent job creating characters that anyone can relate to. Arthur Louis Pullman the third has had a troubling past. While we do not find out about that past until later in the novel, we immediately feel pity for the teen. We watch as he constantly struggles with understanding the past that haunts him. “…if the panic was in my head, so was the calm.” (297). I would imply that along with the physical journey, Arthur takes a personal journey in which he learns to find the calm in himself and use it for good to fix his future. The journey that changes Arthur’s life begins all because of his grandfather. While we never actually see Arthur’s grandfather as its own present character, Arthur Louis Pullman Sr. is seen through his distinct writing and his intense impact on his family and on the country. A World Away is a school required book and a revolutionary catalyst, and Arthur the third feels as though he can not escape the book that has inspired so many. We hear about Arthur Sr. through his grandson, who only remembers him in the midst of his battle with Alzheimer’s before his disappearance five years before the book begins. “i am nothing but a mosaic of the people i’ve met & the things they’ve carried.” (257). Said by Arthur Louis Pullman Sr., this quote truly sums up the complex character. While we only get to connect with the character through his writing, we see how everything and everyone he has connected with has made such a crucial impact to his character and his life. 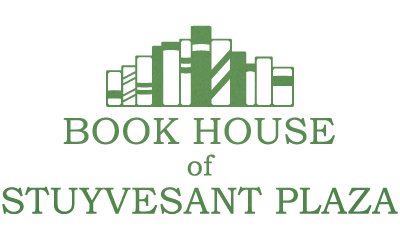 It is difficult to have such a major character not exist in the present of a story; however, through the many journal entries from Arthur Louis Pullman Sr., we get the chance to see through the eyes of a character who has made a tremendous impact in the world that they have created. Through these eyes, we get to understand how Arthur Sr. created a book and a world within that lead to a revolution in which Arthur Louis Pullman the third gets to discover. Without Arthur Louis Pullman Sr., Arthur Louis Pullman the third would not have had the epic journey that is A Lite Too Bright in which he learns and grows as a character. A Lite Too Bright is truly a special novel because it creates a riveting tale with themes and ideas that the reader can truly take to heart for a lifetime. While watching Arthur Louis Pullman the third follow a bread-crumb trail of clues left by his late grandfather to the worlds of revolutions, love, and loss, we see the all-encompassing theme of fighting for an internal cause and how its true intentions may become lost along the way. Everyone is fighting for their own Greater Purpose (as A Lite Too Bright would call it), and we see that in Arthur Sr.’s novel and journal entries. However, this Greater Purpose and its interpretations are misconstrued and turned into a dangerous rivalry among those who choose to follow “A World Away” religiously. “maybe there was more, all along & i just had to stop looking to find it. 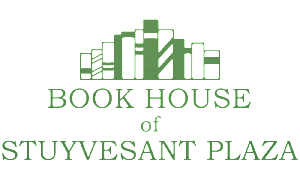 or maybe it was exactly what it was, & the mystery was more important than the truth.” (465). Said by Arthur the third in his grandfather’s distinct Alzheimer’s causing writing style, we see the main character come to terms with the true meaning of his grandfather’s work and how it was lost so severely. “”he wasn’t writing for a big audience, & he wasn’t writing in the abstract. he wasn’t telling stories that he wasn’t a part of. & you were right all along, he wasn’t writing for me. he was writing for them.”” (457). Arthur finally sees in this quote his grandfather’s Greater Purpose for the first time after only seeing the false interpretations fed to him by others. 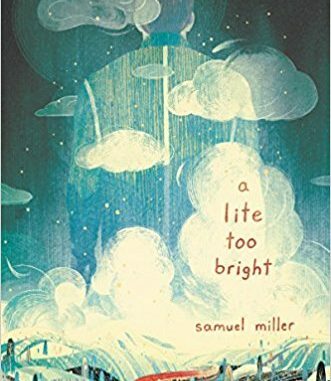 A Lite Too Bright by Samuel Miller is a wonderful tale that anyone can fall in love with. Built on mystery, we follow the trail of clues with Arthur as we try to piece together the answers with him. Other than the difficulties surrounding the character’s past and the relation to the novel’s overall theme, we feel just as much a part of the mystery as Arthur Louis Pullman the third does. This is a novel that anyone can love just as much as A World Away is loved in A Lite Too Bright. Brianna Beck is a senior at Clayton A.Bouton High School, and a frequent contributor to the magazine.